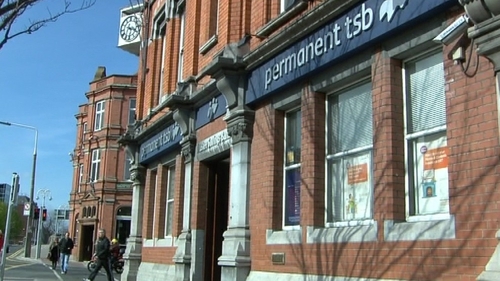 Permanent TSB has appointed Deutsche Bank to advise it on its future return to private ownership. PTSB cut its first-half underlying loss by 62% in August after impairment charges on its loans fell by two-thirds. The Irish Times said today that Deutsche Bank had held meetings with potential investors who could take a stake in the 99% state-owned lender or buy it outright. The bank received a €2.7 billion bailout during the financial crisis, a sum its chief executive Jeremy Masding said it would be unlikely able to repay in full. However the amount it could potentially pay back is increasing all the time, he said. "Deutsche Bank is advising the group on capital markets in general and on developing relationships with the international investment community in line with the stated aim of the group and key stakeholders to return it to private ownership at some point in the future," a spokesman for the bank said. Permanent TSB is still awaiting approval from European authorities to split itself up to move problem loans off its balance sheet, and analysts say it remains vulnerable ahead of European-wide stress tests this month despite the progress on its troubled loan book. "While we expect the ECB's comprehensive assessment to drive a period of M&A and consolidation across the European banking sector, PTSB's structural balance sheet issues are likely to pose the most significant obstacle to any investment," said Ciaran Callaghan, an analyst at Merrion Stockbrokers. "However, encouraged by peer write-backs (on provisions set aside to cover bad loans) already evident over recent months, we think that private equity or trade buyers may now be attracted to the prospect of PTSB recoveries in the coming year," he added. The Government last week appointed groups of bankers and brokers - including Deutsche - to advise it on the possible sale of banking assets nationalised during the crisis. The state also holds a 99% stake in AIB, as well as a 15% share of Bank of Ireland.